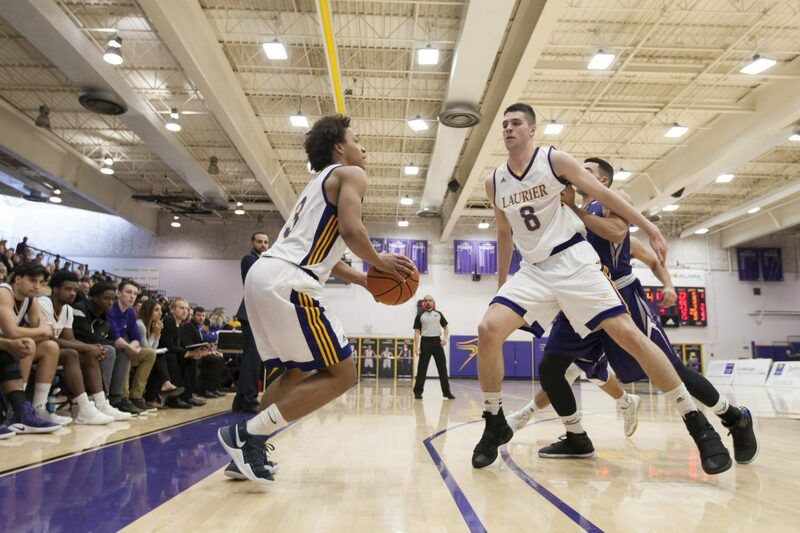 The Laurier men’s basketball team ended their season in disappointing fashion as they were knocked out of the playoffs in the first round by the Laurentian Voyageurs. Although fans would have hoped for more from the Hawks, nobody can say that this season wasn’t a success. It’s fair to say that the Hawks surpassed everybody’s expectations, especially considering the fact that this was head coach Justin Serresse’s first year with the team. “I think we achieved a lot. Overall, for the first year, I think it’s pretty good. I wouldn’t be jumping off the roof either, but we achieved some of our goals. We didn’t meet all of them. I think it’s a fair assessment in that it was a pretty good season,” Serresse said. The Hawks, along with a first-year head coach, also featured a number of first-year players. There were a total of six rookies on the team, including leading scorer Tevaun Kokko. The inexperience within the team, perhaps, explained the Hawks’ inconsistency this season. It’s only natural for such a young team to look like one of the best teams in the country on one night, and look completely out of sync the next. Serresse emphasized the fact that not only is it a very young set of players, it is also a young coaching staff. “It’s a young team and a young coaching staff as well. I could have done a better job helping with that, so it’s not just on the players. I think it’s also maybe on us being able to approach every game with the same mindset,” Serresse said.. The Hawks were in a must-win situation towards the end of the regular season, as they had to beat Lakehead in order to make the playoffs. Serresse mentioned that this was also a less than ideal situation to be in. “We should have known the importance of every play, every game, so that we don’t end up in a situation where we have to go to Lakehead and win the game. We came out with three injuries that last game too. But it’s a young team, a young coaching staff. It’s about looking at the big picture,” he said. Looking ahead to next season, the Hawks are going to be without two key players — Matt Chesson and Owen Coulthard — as both of them will be graduating this year. As the oldest guys on the team, Chesson and Coulthard were leaders for the Hawks. “New leaders are going to come out of it; I’m excited to see what they are capable of doing next year. I think Chesson did a great job leading the team this year, but I’m looking forward to guys stepping up. It’s not going to be one or two guys; it’s going to be a group of maybe four or five leaders having one voice. That’s what I’m looking for,” said Serresse. The fans will be expecting the Hawks to at least make the playoffs again next year. The team will be put under pressure before the season even starts. But this does not seem to concern coach Serresse. “If you ask people, everybody will tell you how successful this season was. I’m probably the only one who’s still sour about a lot of things. My expectations for the team and myself are always higher. For regular Joes and maybe the department, or regular fans, their expectations probably won’t be as high as mine. I’m always trying to push myself to better myself and the team; I am my biggest critic,” he said.